Try Continuous Ink System with your Brother DCP-J525W and make 30 times more quality prints for the same money! Pay only 0.04 USD for A-4 full color print! You can buy ciss brother DCP-J525W for Brother printer as well as for printing devices of other trademarks right now. A lot of manufacturers became active and started to make such systems, because the quick development of inkjet printing to a great degree requires rising of technological level of printing devices. That's exactly why the installation of continuous ink supply system on every model of printer became more and more tempting offer. There are so many printers' models on the world market that is why every user can choose a devise as needed individually. We can draw only one conclusion from what has been said: the usage of ciss DCP-J525W allows to lower money costs of consumable materials for printing considerably. Unessential disadvantages, which this system has, don't play a major role, especially in comparison with the immense advantages of the device in question. The continuous ink supply system (ciss ink system brother DCP-J525W) is a modern system of reservoirs and tubes, which is used in inkjet printers or MFD's for direct supply of ink mixture to a printing head of the device from the refillable reservoirs. The installation of this system allows users to save quite a nice sum of money on color inkjet printing. The device is consists of special reservoirs, which are connected with original cartridges by a thin silicone loop. Through it the ink goes on continuously to the cartridge of printing device and to the installed printing head correspondingly. The ciss DCP-J525W helps to achieve considerable savings, up to 50 times, in comparison with the usage of ordinary original cartridges. There are several kinds of printers. They can be divided into two types: devices with built-in printing head or devices, the printing head of which is fixed stationary on the cartridge. Usually, it is more practical and desirable to use CISS for DCP-J525W, as well as the similar models ciss for brother MFC-J625DW and ciss for brother MFC-5490CN in ink printing devices, which are equipped with built-in printing head. To a great degree it is caused by the high operating resource of the printing head of the device, notwithstanding that such ink supply system can be also installed on the printer with the printing head on the cartridge. 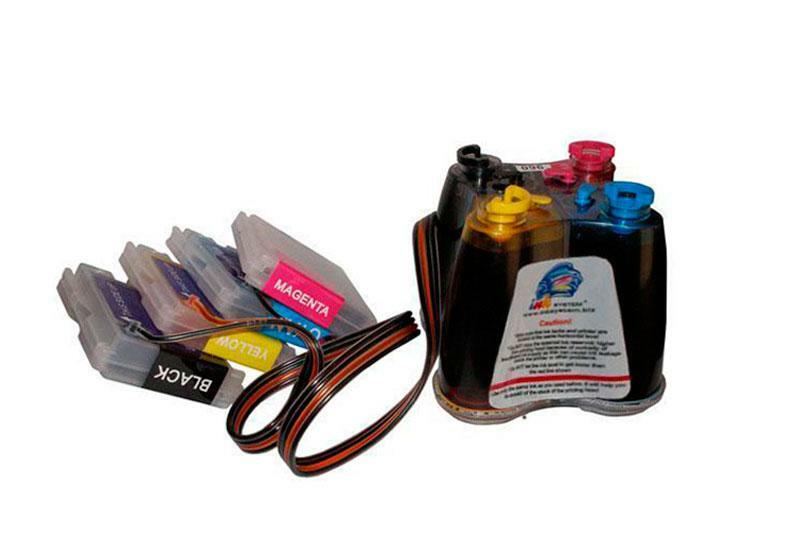 The ink flows from ciss for brother DCP-J525W to the inner cartridges through the silicone tubes (a sort of a loop), which connect printer cartridges and reservoirs with ink. By using the vacuum, which was created inside the cartridge, the ink, which flows from the tubes, fills the space of consumed ink during printing process.